The networks appear to be losing their touch. By my count, there have been three recent, sports-related events that our cable channels totally missed out on! Listen, the 24-hour sports networks have plenty of time to fill. 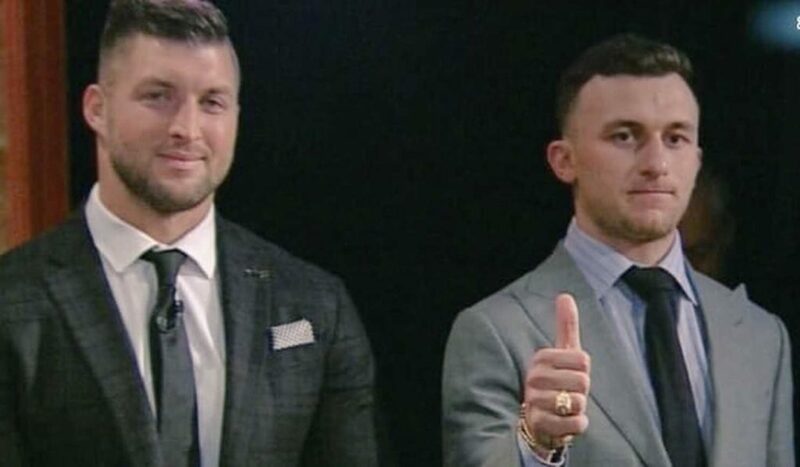 If the NFL Network can air hours of fruitless Johnny Manziel and Tim Tebow references while showing guys run around in color-coordinated spandex at the draft combines, then certainly the ideas below can garner some viewership. Hey, I’m just trying to help in any way I can. The NBA tried something different this year. Instead of having the traditional East meets West in their mid-season, exhibition classic, the ever-inventive Commissioner Adam Silver decided to add a wrinkle to the league’s grand event known as the NBA All-Star Game. The Association chose its two most popular players, LeBron James and Steph Curry, and allowed them to pick their teams from the handful of all-stars the fans had previously selected. In other words, it was all-stars on a proverbial playground choosing players one-by-one they thought would give them the best chance of winning a basketball game, with the two major differences being these were the best players in the world and 8 million fans would be watching the game. The new format met with mixed results. Some felt it was a success; others felt it went against tradition. What can not be argued is that the game itself was entertaining, going down to the final possession with the rosters being much more evenly balanced than had it been East versus West. Thought was initially given to televising the selection process but the NBA sided against it. They probably recalled the last, televised event involving LeBron making a “decision” didn’t go over that well. This would have been different, however. Who wouldn’t want to see LeBron and Steph pick from a line-up of the twenty, most talented basketball players on the planet, just see who went first and see who got shunned. 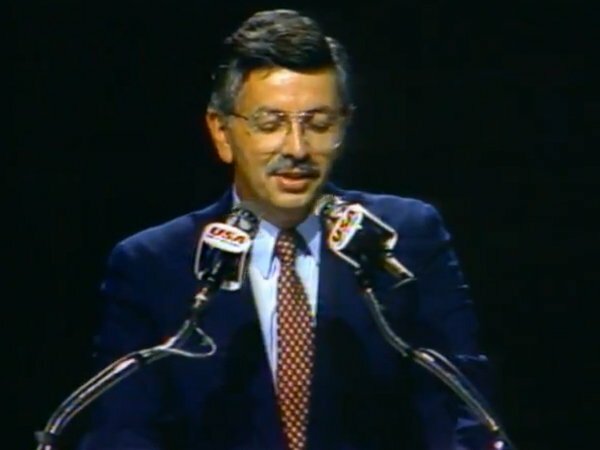 We could even travel back in time to have a once-mustached David Stern host the proceedings. As it turns out, the players union was the driving force behind not televising the event. I can only guess they didn’t want any of their players embarrassed. Rumor has it that Kevin Durant went first to Team LeBron with the Greek Freak Giannis Antetokounmpo going second to Team Curry. Spurs forward LaMarcus Aldridge was allegedly the fat kid picked last. It stands to reason that had the public not voted in Aldridge, the All-Stars might not have selected him either. Personally, I would have opted for an aging Bill Cartwright and a bucket of range balls. Either way, this would have made for great TV. The networks missed a golden opportunity to see Kyrie Irving wince once he found out he had to play with LeBron again and the same with Russell Westbrook reunited with Durant. You can’t tell me you didn’t love watching Brady Quinn fall… and fall… and fall in the 2007 NFL Draft. We relish in the misery of the famous. I get that the players association wanted to protect its own but hearing players razz Aldridge for being the last man standing would have been fun to watch. Apparently, the two richest and most hated white men outside of the United States president are having themselves a little pow wow. Again… PLEASE PUT THIS BEHIND CLOSED DOORS MEETING ON TV! Dallas Cowboys owner Jerry Jones is being called into the principal’s office. NFL Commissioner Roger Goodell is that principal. Reports abound that Goodell is going to demand “millions of dollars” from Jones for his public protest to Goodell’s handling of the Ezekiel Elliott suspension and for his considerably vocal opposition to Goodell’s contract renewal. What’s the old joke about why black people like hockey so much? Because it involves white guys with sticks beating the crap out of each other? Seeing these two men, who rank pretty low on the nation’s popularity scale, trade jabs would make for great TV and substantial ratings. You could even air it on BET for good measure. Here’s the thing. This meeting of “the minds” might sound intriguing and I’d for sure watch it just to see who landed the best zingers but unless they actually put on gloves, it’d probably make for an anti-climactic result. You and I both know the meeting will end with a warm albeit resentful embrace and far too much white-collar chumminess but still, this has to be better than any reality TV we’re already watching. One of the most underreported stories so far of 2018 is what happened on the Golden State Warriors’ recent visit to Washington DC. Flash back to last year when Steph Curry and his Golden State Warriors publicly admitted they were debating whether the team would accept the honor to visit the White House after winning an NBA championship. It didn’t take long for President Trump to get wind of their deliberation and publicly, via Twitter, rescind the offer. This led to some interesting back-and-forth between the two parties with our divisive country siding with either the champs or the commander-in-chief. Last week, the Warriors traveled to play the Washington Wizards, putting them in the nation’s capital for the first time since the spat. Instead of visiting Pennsylvania Avenue which championship teams traditionally do after winning a title, the ever-conscious Warriors flipped the script and decided to take a bunch of inner city kids, from the area Kevin Durant was raised, on a trip to the National Museum of African-American History and Culture. I’m guessing Trump wasn’t there to give them a laurel and hearty handshake. Or better yet, he could have served as their museum tour guide with no previous training just to see how much he actually knows about the history of our nation. Again, I’m not here to tell you who to side with. This is the era of us not all getting along so why spoil a good time. But you have to hand it to Kerr, Curry, Durant and the entire Warriors organization for turning a negative into a positive. Although this field trip wasn’t televised, which again would have made for a great watch, a handful of the players posted the kids reaction on social media. From what I saw, those smiles were worth tuning in for. This entry was posted in Featured, Hardwood, Pigskin, Screen and tagged Animal House, Blazing Saddles, David Stern, Ezekiel Elliott, Golden State Warriors, Jerry Jones, Johnny Manziel, Kevin Durant, LaMarcus Aldridge, LeBron James, NBA All-Star Game, NFL, Roger Goodell, Stephen Curry, Tim Tebow, Washington Wizards by Chris Humpherys. Bookmark the permalink. 2) “THE SHERIFF IS AN AFRICAN-AMERICAN!” just doesn’t have the same punch. We house sat for friends over Christmas. They have cable, and I managed to catch the Longhorn Network’s offerings(University of Texas sports channel) Christmas morning- Bevo(the longhorn) out grazing in his pasture. Networks are having to compete with streaming services being provided by internet service providers. It’s hurting the bottom lines for broadcast outlets and many of the regional cable providers as well as ESPN and FS1 . Blazing Saddles references never get old. Still one of the best comedies, and perhaps even best westerns, ever. I wonder what it would take, other than pure comedic genius, to make another film like that today. So it’s just a half hour (or full hour?) program of the Texas mascot eating hay? I guess it’s true what they say. There’s not all that much to do in Texas. I think that’s a generational thing. I generally watch television on my computer. That’s what televisions are for. That would certainly cut down on all the gun violence. Harrumph , Harrumph, Harrumph ! 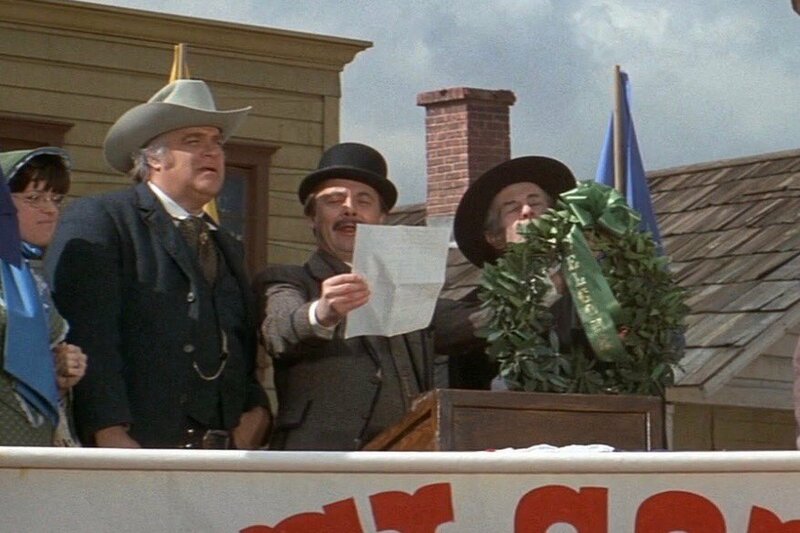 In order to make a Blazing Saddles-esque film today would require the complete and total death of political correctness. And Dubs, as we’ve discussed to no end, I’m not sure that would be such a bad thing.